In the little town of Arvika in the centre of Sweden there are several large industrial sites. One of them belongs to the company Swegon, where all of its waterborne climate systems and sound attenuators are manufactured. With 17,000 m2 of production area, 120 employees, modern test facilities and an onsite research and development department, Swegon can continuously bring innovative new products to the market. This facility is the source of innovations such as the PARASOL comfort module, which has received great attention from all over Europe. It is exactly this PARASOL comfort module that we will see being manufactured at Swegon's production unit in Arvika. 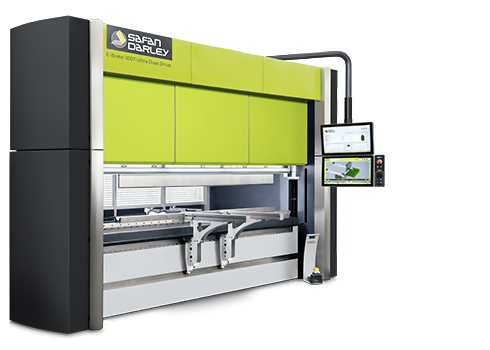 We've heard and read about major investments in a fully automatic press brake cell and you'd have to look a long way back in the company's history books to find this much impetus in terms of climate system manufacturing. The flow of orders is good, proven but carefully developed models are selling, investments are being made and products are being developed that will continue long into the future. The entire company is positive, fast moving, and highly ambitious. 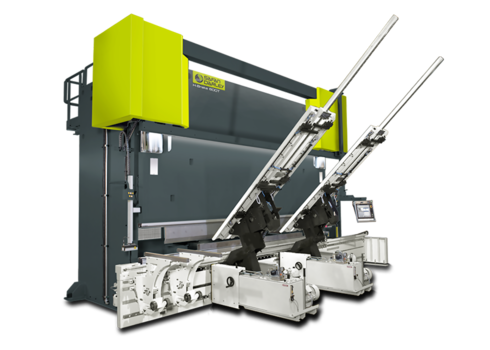 we saw the opportunity to rationalise and automate bending using press brakes without increasing the need for intermediate storage. So we needed a flexible robotic cell. 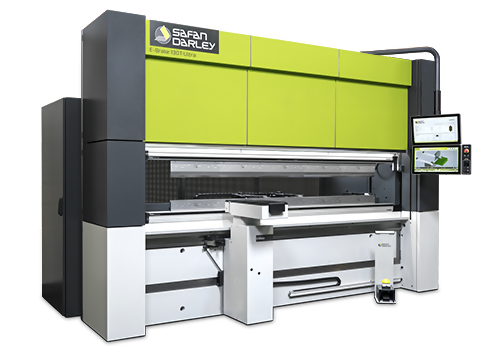 The robotic, servo-electric press brake from SafanDarley and Starmatik was the only one on the market that fulfilled our requirements, plus ergonomics were an important factor for our staff. We are now running kit production with the right products direct to an assembly line without intermediate storage during normal production time, which at the moment is two shifts. At other, unstaffed times, semi-manufactured products are made for other parts of the production process. Production has previously been manual but now we're using the robotic cell we're saving many man hours", explains Erik Olsson. 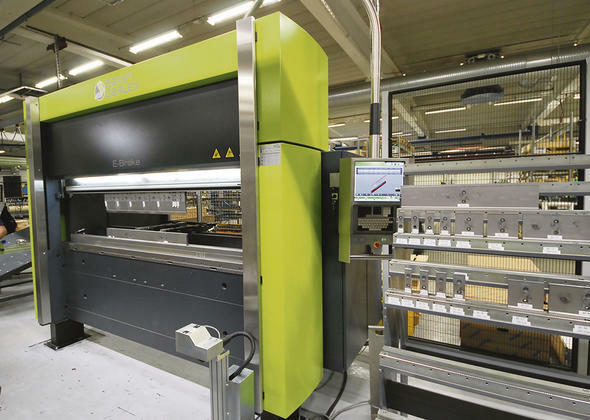 Swegon in Arvika already has four servo-electric press brakes from SafanDarley and Din Maskin (you can read more about this at the end of the article). 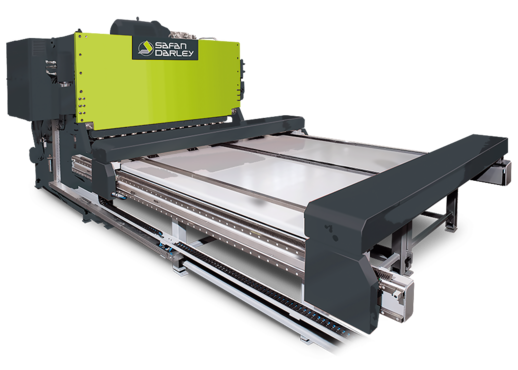 servo-electric press brake with CNC controlled four-axis back gauge, integrated hanging function in the table and a working length of 2500 mm. 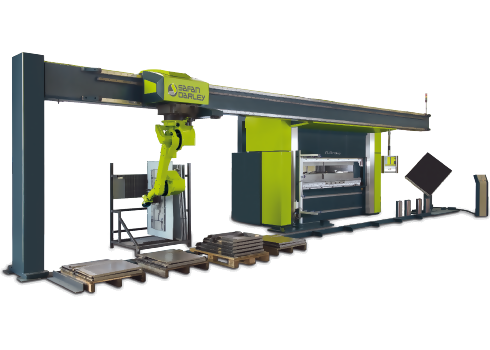 The robot cell s positioned on a track, which provides optimum accessibility during bending and better opportunities for flexible stacking. The cell has automatic clamping and tool changing. 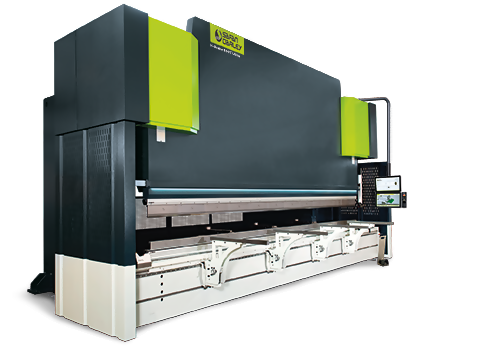 The clamping magazine has space for 8 clamps and the tool magazine has space for 20 metres of press brake tooling. offline programming. 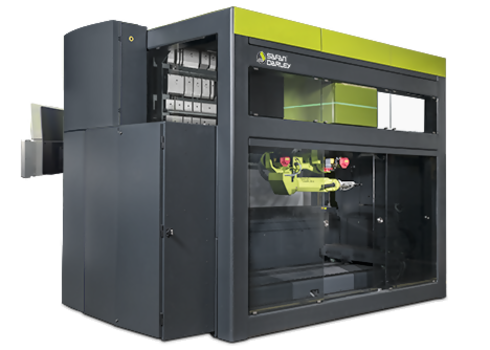 Starmatik's SimulEasy software means that the entire robot system can be programmed offline, and a complete robot program can be generated for the cell. If you don't have offline programming, the operators need to spend countless hours programming manually in the cell, which limits production. 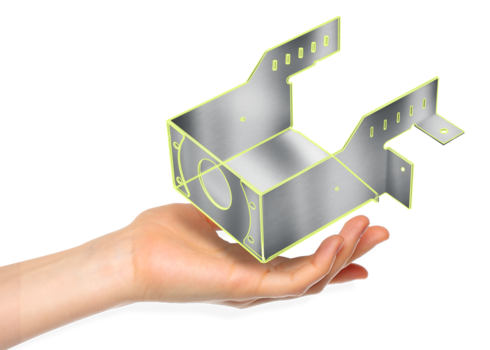 There has been major developments in the various machine systems, and if we look at new bending technology this is the most advanced system available today in terms of machine technology within sheet metal processing. 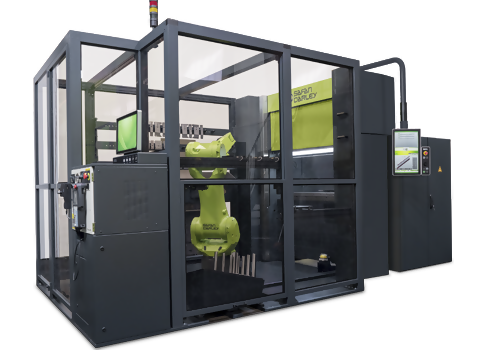 The problem for many companies is that many machines in production today have slightly older technology, particularly when it comes to control systems and software, and that they haven't fully embraced automation. 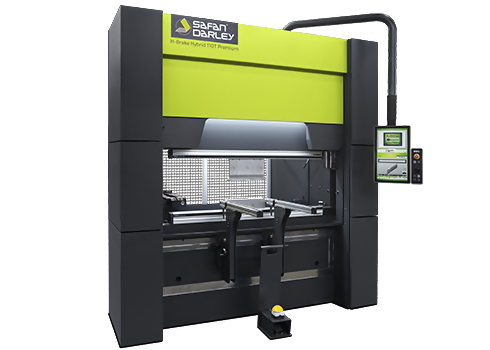 Only by eliminating downtime through automation can you directly see high two-figure percentage rates of increase in productivity. 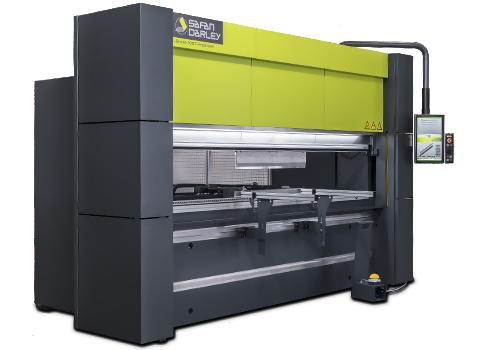 Bending with a press brake is a good technique, but depending on the volumes and processing in the flow, it costs time and money and profitability falls, and this is where you find the major gains with robotic press brakes, with flexibility and redeployment efficiency showing the most benefit. 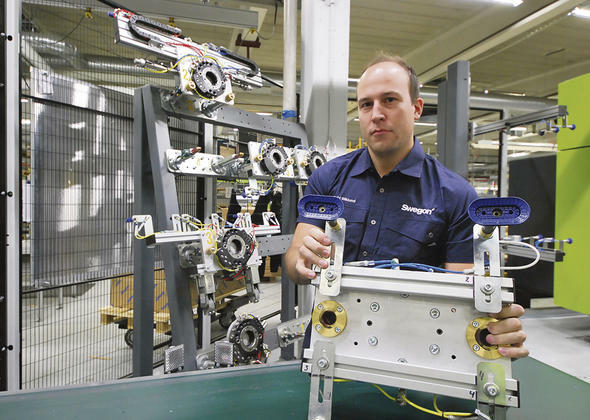 "We're putting more responsibility down on the shop floor. This applies both to programming and to tasks that increase skills. And I think this is one of the keys for being able to retain skilled staff in the industry – that the profession gets a higher status in many more areas than it has today. Here at Swegon, investments are being made in making the work more interesting and challenging, and giving employees greater proximity to the technology and the processes", says Fredrik Carlsson. 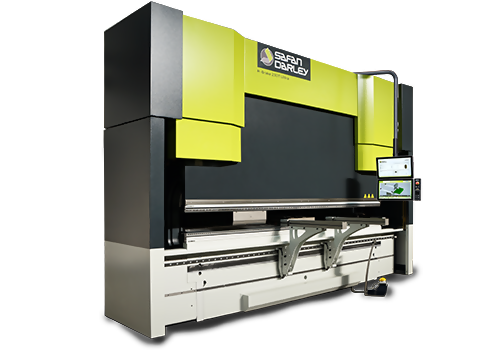 "I learned to do manual bending with the relevant programming to introduce myself to and understand the major advantages of CAM solutions from AutoPol, which we use during manual bending with a press brake", says production technician David Wiklund. "Now we can verify the producibility of a product at the drawing stage and we've speeded up the design phase and make sure that it's right from the start. Everything's going much quicker today and we change product and series sizes much more often than before. This means we need software that makes reprogramming fast. 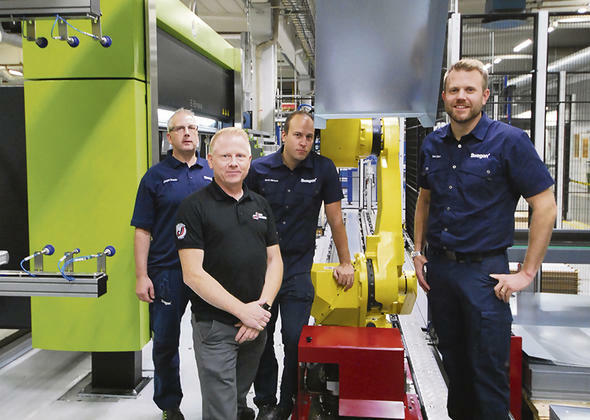 Our operators have extremely good basic training and skills, and that's a major strength now that we're heading for increasing automation and robotics", says Erik Olsson, the company's production technology manager, adding, "a lot of things are simpler for us out in production as the software develops and gets more intelligent, and it will undoubtedly be even simpler in the future. And by simple, I mean that the software becomes increasingly complex but with an interface that's ever more simple to use. This is a good development as it makes it easier to carry out programming, which becomes less dependent on individual members of staff." We want to know more about the software, so we ask Fredrik Carlsson for help. The AutoPOL GTsoftware is made by the Swedish company FCC Software, which is based in Falköping and has been part of SafanDarley for several years. 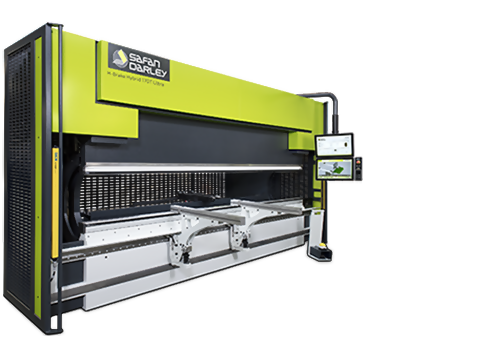 The software is a helpful tool that can use a 3D model to generate a correctly scaled DXF file for a punch/laser, and a complete program for the press brake. 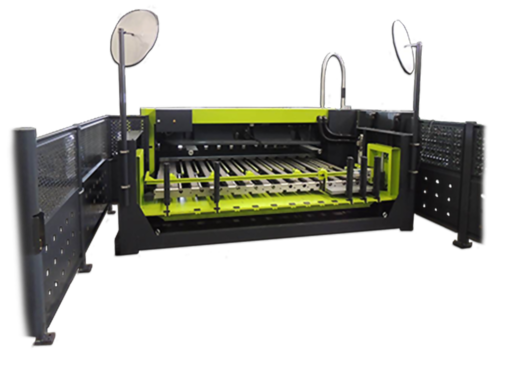 Using AutoPOL at an early stage in the design work, you can also see if the part can be produced in a press brake with the tools you already have, or if adjustments are required. 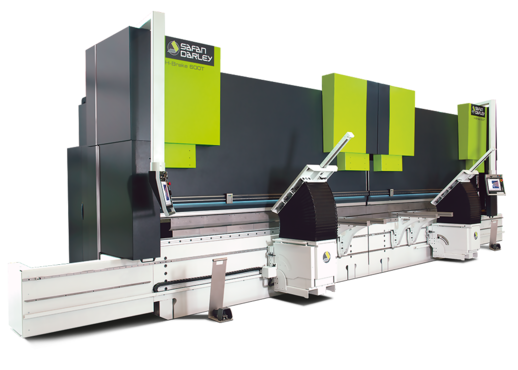 The program also calculates a bending cycle time, facilitating production scheduling and cost calculations. 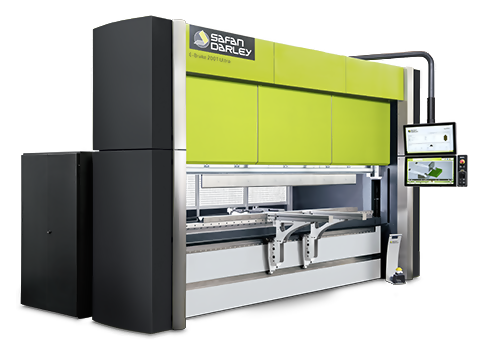 In parallel with their robot cells, Swegon in Arvika have several press brakes from Din Maskin – these are SafanDarley's E-Brake models. "These are machines that we're very happy with and which are very reliable. We're also very happy with Din Maskin's service organisation, which is another important aspect when you make investments of this scale. You simply can't allow production to stop", says production technician David Wiklund. 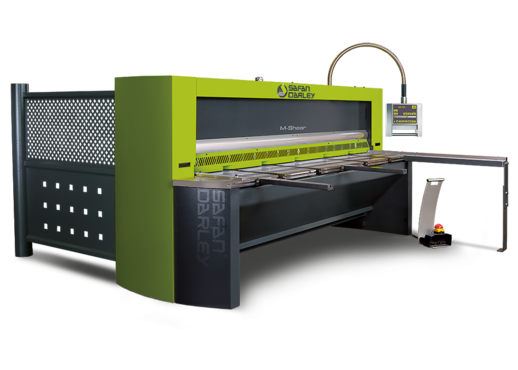 "SafanDarley represents innovative development of press brakes and is a leading global specialist that develops and designs machines for bending of both thick and thin sheet metal. 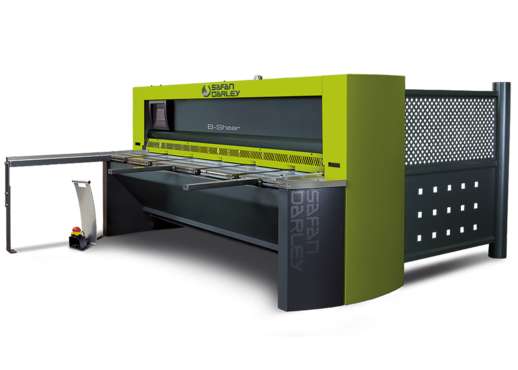 SafanDarley took the sheet metal bending market by storm as the developer of the best-selling E-Brake servo-electrical press brake. 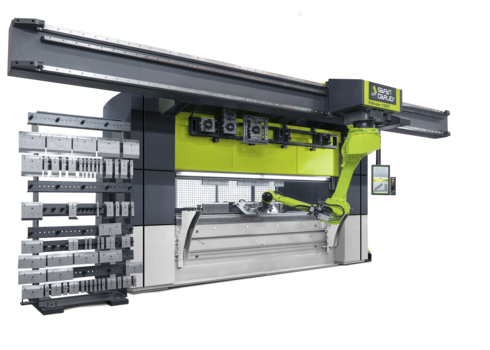 Not only because of the innovative servo-electrical technology, but also through innovative machine concepts and unique control systems", says Fredrik Carlsson, machinery supplier Din Maskin's press brake specialist.